PLASA marks the official launch of TIBO and ZEP, Robert Juliat’s latest LED profiles which enjoyed a successful preview at Frankfurt’s Prolight+Sound show earlier this year. TIBO LED is a high intensity 75W LED profile with a choice of two zoom ranges in one single unit (30°/45 and 15°/ 35°). Plastic, glass or metal M-size gobos can be projected and benefit from the easy alignment afforded by the 360° rotating lens tube. Three colour temperatures are available: Warm White (3000K), Neutral White (4000K) and Cool White (6500K). TIBO LED is supplied with a separate, flicker-free power supply which makes it extremely versatile as it can be used in film, television and studio environments as well as in conventional theatre. The cool running LEDs make it suitable for use in listed venues, exhibitions, museums or when lighting valuable or light-sensitive objects. TIBO Tungsten also benefits from a double safety system which uses micro-switches to automatically cut power when the unit is opened. ZEP is the big brother of TIBO with a powerful 150W LED light source. Two colour temperatures are available: Warm White 3200K and Cool White 6000K. ZEP’s double condenser optical system and A size gobos combine the best beam quality with maximum light output to give superbly sharp gobo projection using plastic, metal or glass gobos. Gobos can be locked firmly in position using RJ’s user-friendly barrel lock, whilst RJ’s unique shutter locking system can lock up to 8 shutters in place within the gate. TIBO LED will illuminate Robert Juliat’s PLASA stand and illustrate the quality of its performance and its low energy requirements. An array of RJ profiles – including TIBO and ZEP profiles - will project gobos and show off their projection quality and the versatility of the whole RJ profile range. 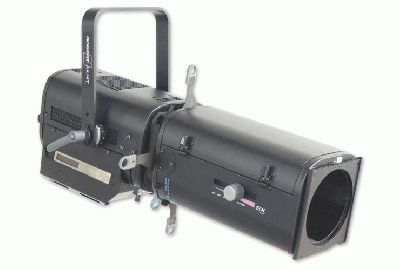 Also on the stand will be a selection of Robert Juliat’s famous followspots including the 4000W HTI LANCELOT which recently appeared on the Queen’s Diamond Jubilee Concert and the Eurovision Song Contest, the unique 1800W MSR VICTOR long throw spot and its short throw counterpart, FLO. FLO will be presented in its motorised form with the addition of a colour scroller accessory which can be powered directly from the followspot’s PSU. This feature ensures both colour and dimming can be controlled directly from the lighting desk for perfectly synchronized operation. Finally, the modular CIN’K theatre spotlight will also be exhibited. Available with interchangeable lamp bases, which gives the designer the choice of 5000W / 2500W tungsten or 1200W / 2500W MSR lightsources, this 250cm diameter Fresnel has recently been installed in London’s Royal Opera House and Phuket’s FantaSea show.